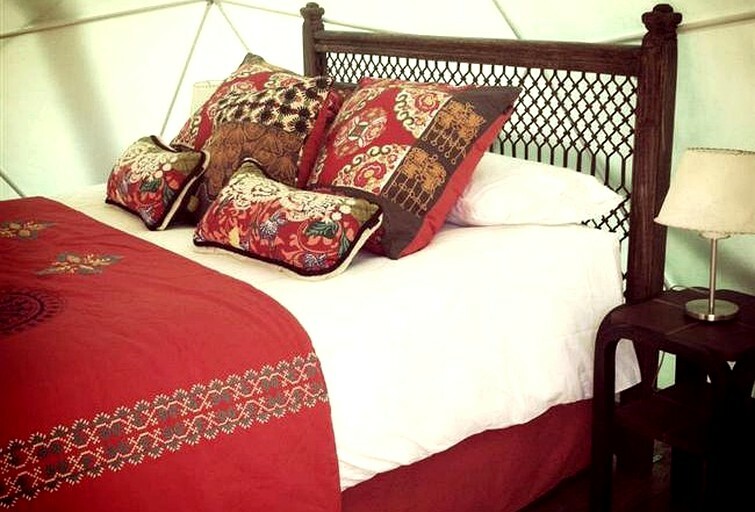 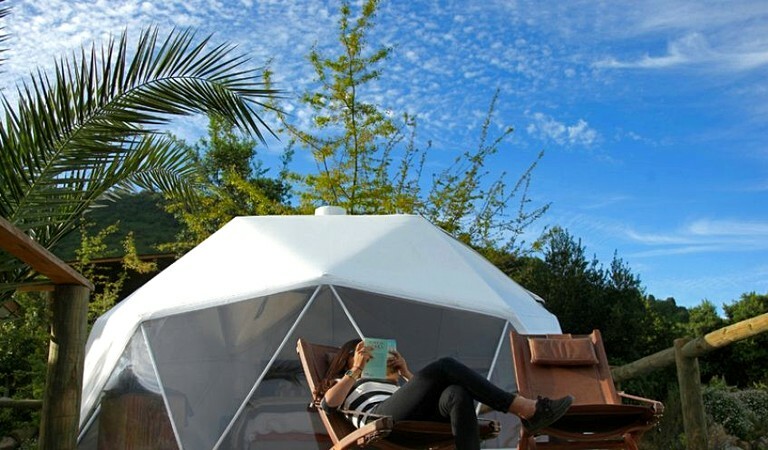 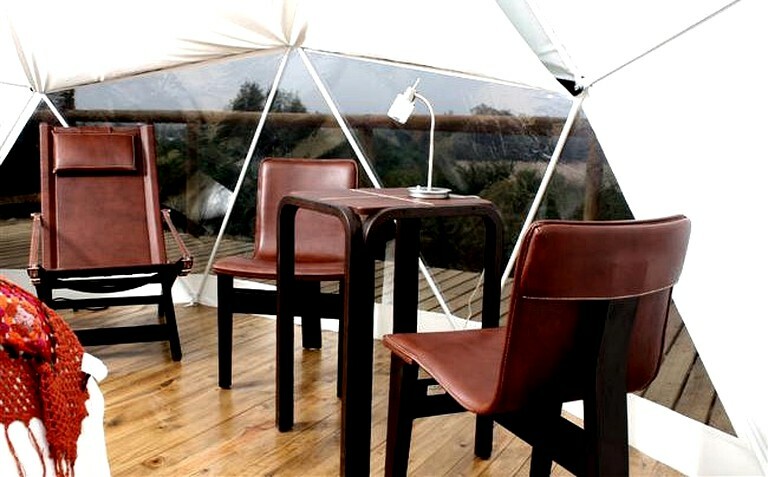 Our domes, built with first-rate technology, are made with high resistance PVC-Polyester fabric, of French origin, with thermally sealed seams that are 100% waterproof guaranteed, along with modern insulating materials that protect against the cold in winter and the heat in summer. 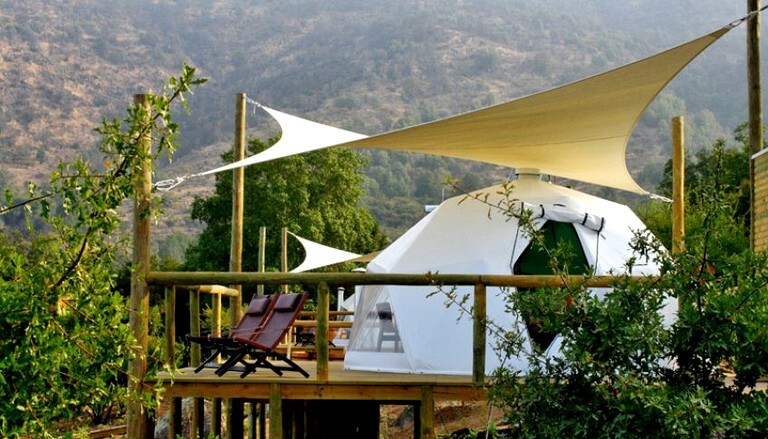 At Colchagua Camp there are many outdoor activities to choose from, such as trekking, biking, horseback riding, wine tastings, picnics and bird watching. 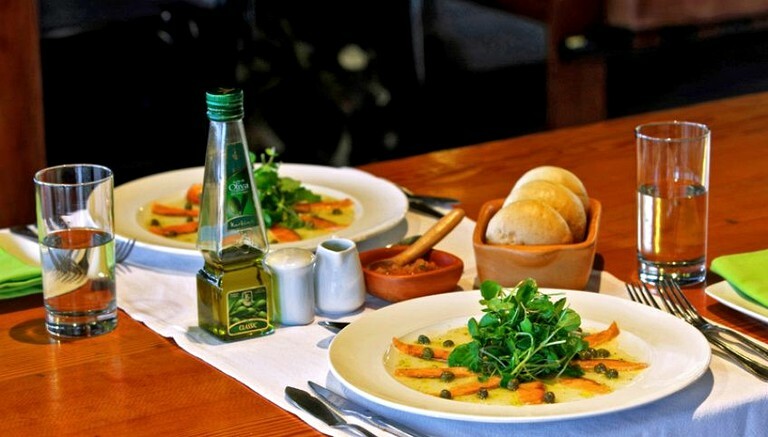 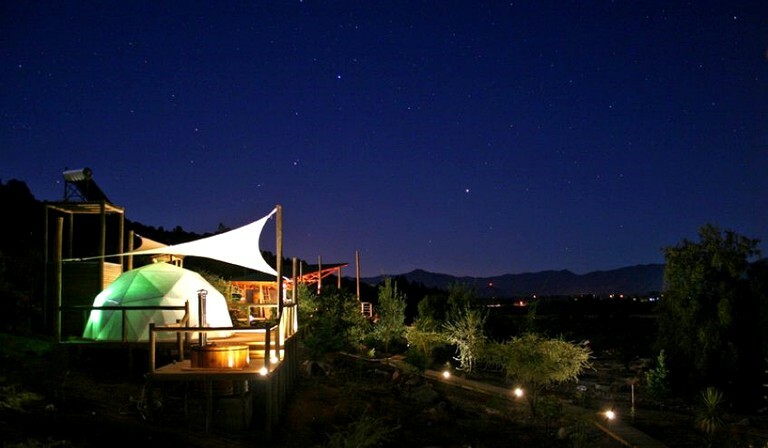 We can also offer you the well-known activities of Colchagua Valley, including vineyard and astronomy tours, tastings and visits to museums, handicraft stores and local products manufacturers (cheese factories, manjar, olive oil, etc.). 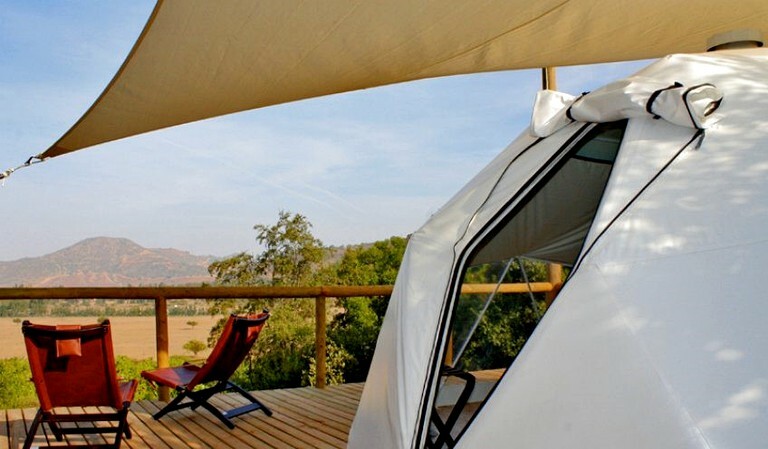 This is the first "GLAMPING" site in Colchagua Valley, a five star camp emphasizing contact with nature and its rustic appeal without sacrificing comfort and glamour. 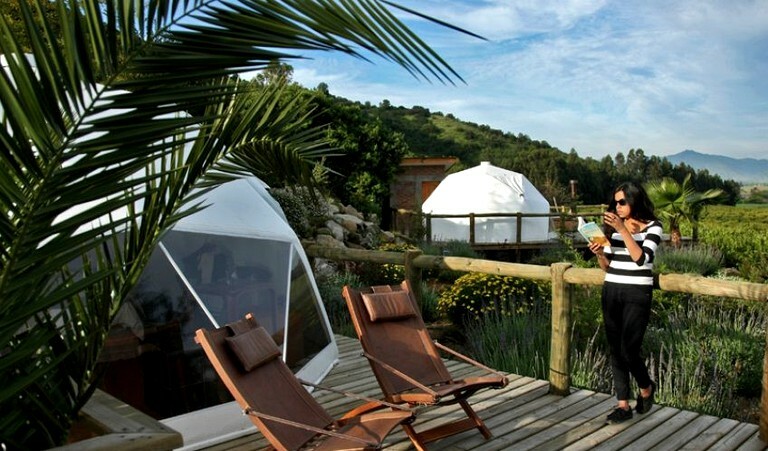 The camp is located in a unique natural environment, surrounded by native flora, in the midst of a beautiful lemon tree orchard and it has an unmatched view of the Colchagua Valley.